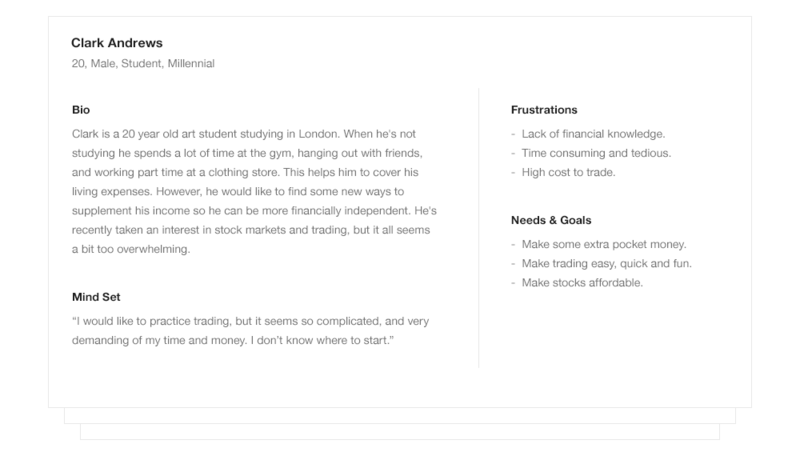 Meet Trad3r, a playful app that allows users to easily trade stocks within a simulated market. 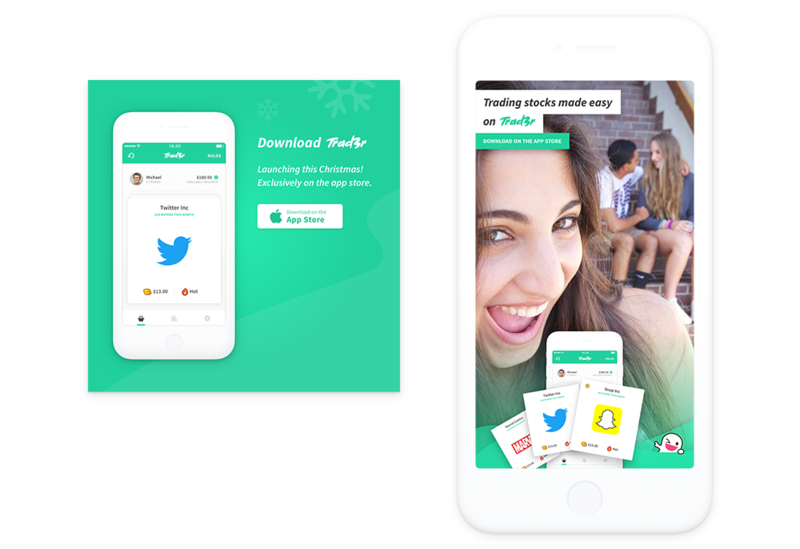 Users can buy and sell stocks by swiping left and right. It’s that simple. One of the key challenges was to transform a complicated, costly and tedious concept into something easy, affordable and fun. So in working closely with the founder, I created the user experience and designed the app from the ground up. The methodology employed was lean and agile, so the creative process involved lots of iterative, rapid development cycles which allowed us to release an MVP in a very short space of time. As part of the research phase, I created a snapshot view of the target audience. The user goals and pain points helped us to gain a better understanding of the problem we were solving. Based on the persona insights, i started to breakdown and map out the different user needs and goals by turning them into epics and stories. This helped me to further define the product's scope, as well as the functional requirements and features. My next challenge was to examine and simplify the number of steps needed for each user to complete their tasks within the product. 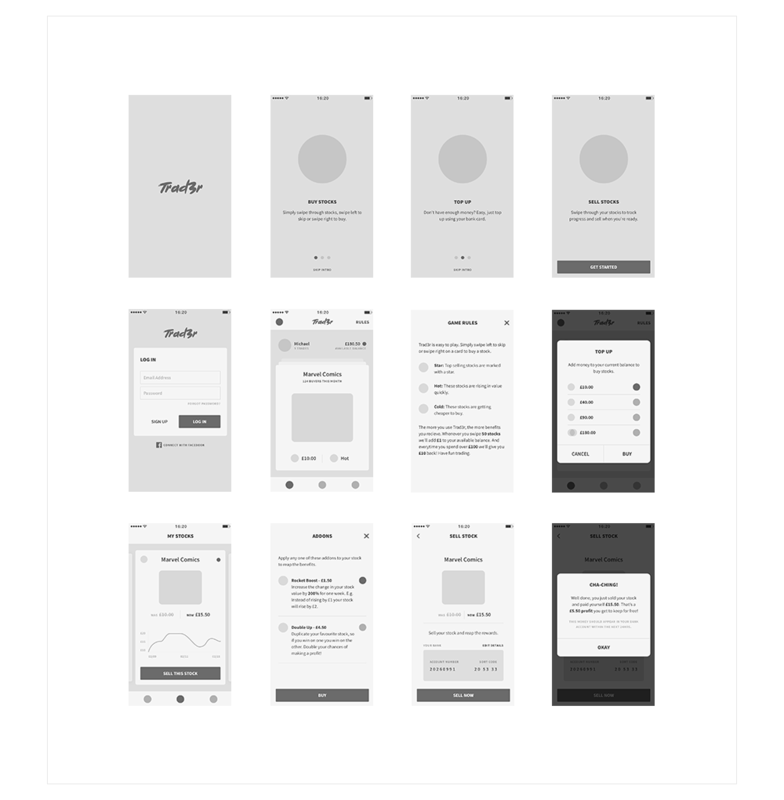 At this stage, I began to visualise the functional requirements by creating quick, rough sketches and mid-fidelity wireframes. 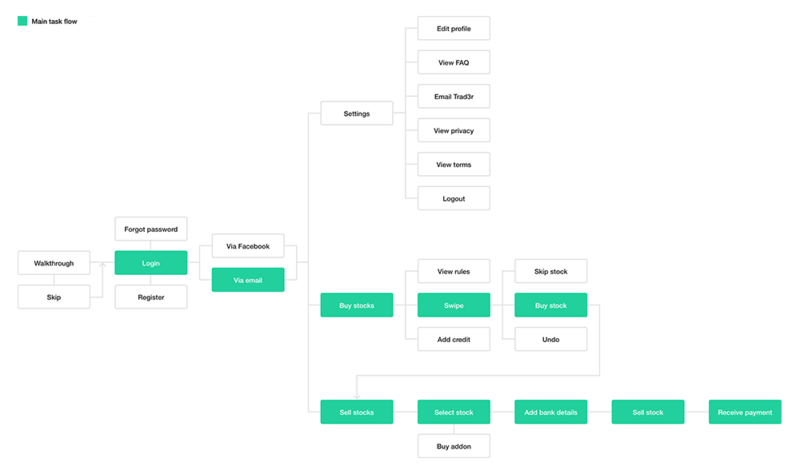 I later created clickable prototypes from the wireframes, this allowed me to quickly spot inefficiencies in the layout and user journeys. 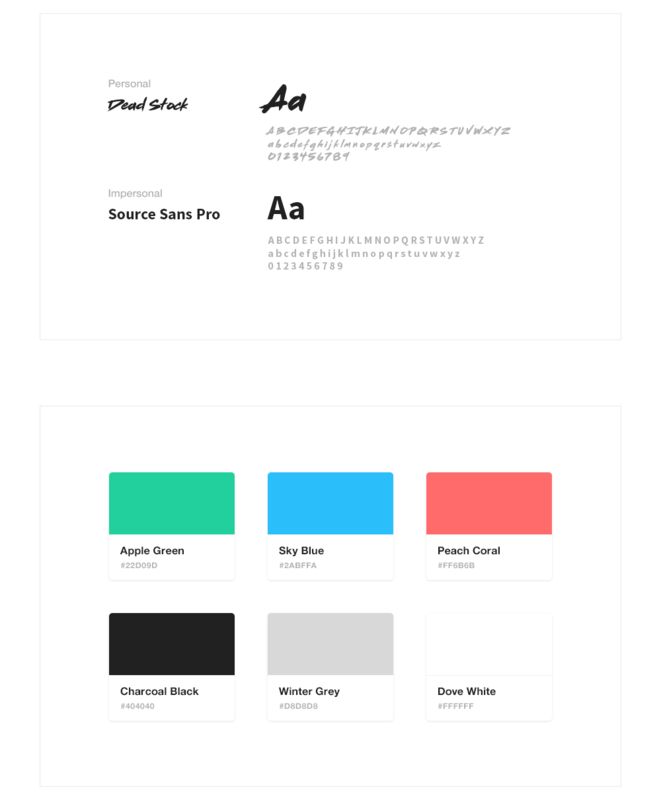 After signing off the UX, I started to explore some of the fundamental brand elements. Both colour and typography play a key role in defining a product’s character. 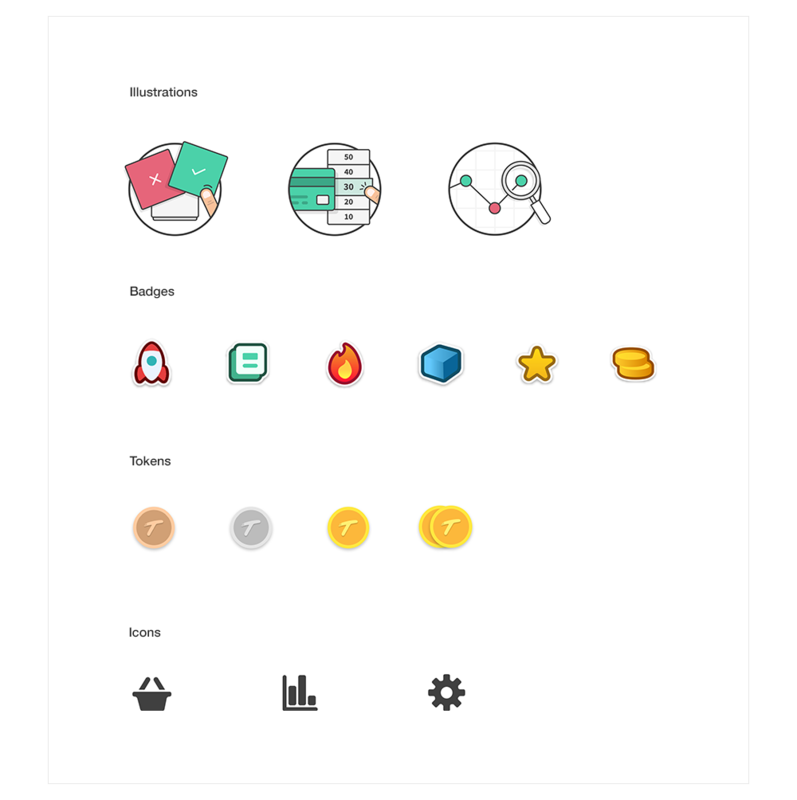 I designed a custom set of illustrations and badges to help simplify the user experience. The goal was to reduce the user's cognitive load by using simple visual metaphors to communicate complex meaning. Whenever I'm designing I really enjoy reducing ideas to their simplest and purest forms. 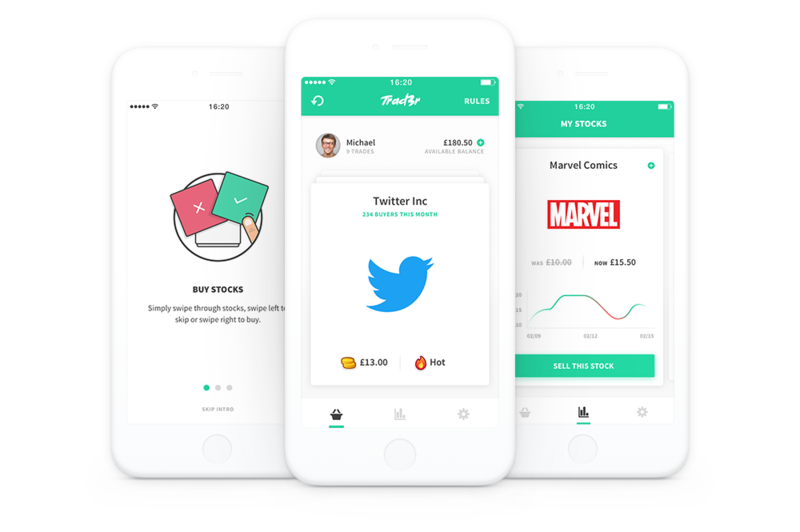 Via thoughtful reduction, I was able to fulfil one of the key goals of the app, which was to make trading simple and visually intuitive, as well as playful and fun. 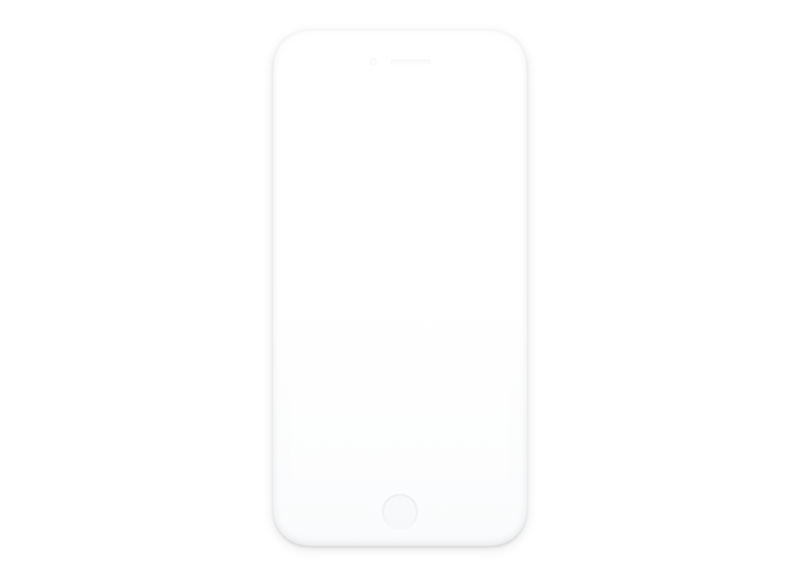 Transitional animations and meaningful micro interactions can really help to engage the user whilst adding a sense of personality to an app. I created a set of animations to help demonstrate those principles. As part of Trad3r’s marketing strategy, I designed a series of promotional campaigns to raise awareness of the brand and product. The first ad was done via Instagram and focused on promoting its Christmas launch. Whilst the other campaign utilised Snapchat’s Geofilters to advertise the launch of Snap Inc on the Trad3r app. The project was challenging, it required me to use a lot of my skills, as well as improving and developing new ones in the process. Although that being said, my client was extremely happy with the final outcome, and the user feedback and media coverage were also great. I'm excited to see where Trad3r goes from here. Send me an Email, or leave yours so you can be the first to know when I’m next available for freelance work.